Plattsburgh now has a new RV dealer. Day Brothers Boats is excited to announce that we are now a Prime Time RV dealer. We have a number of Avenger and Crusader RVs, Travel Trailers and Fifth Wheels in stock. Prime Time Manufacturing proudly builds a full line of towable RV products including travel trailers, fifth wheels, and toy haulers. As a division of Forest River, Inc. North America’s largest manufacturer of towable recreational products and a Berkshire Hathaway company – Prime Time has unmatched purchasing power that ensures the highest value with every unit we build. Day Brothers Boats and RV Sales is proud to offer a number of Prime Time RVs at our Plattsburgh, NY location just outside Montreal, Burlington VT, Ticonderoga and Malone. Since 2009, Prime Time Manufacturing has been North America’s fastest growing RV Company. Currently, we are a Top 10 manufacturer of both Travel Trailers and Fifth Wheels in the United States and Canada. 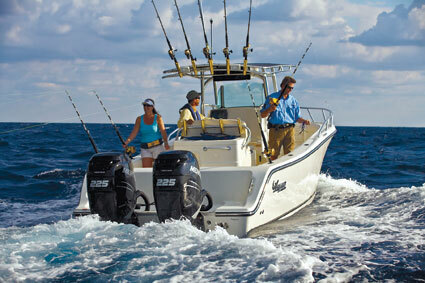 Contact Day Brothers Boats and RV Sales for more information. Click here to view the RVs, Trailers and Fifth Wheels we have in stock at our Plattsburgh, NY location.